Running Scared showed me two things: 1) style and substance can co-exist; 2) Wayne Kramer is a hell of a filmmaker even if the script didn’t completely grab me; and 3) Paul Walker shows he does have acting skills. The Blu-ray offered here has some OK features led by Kramer’s lively commentary track while the video and audio transfers are both superb. If you enjoyed the movie – and taking into account the upgraded audio/video plus porting over of the features – this might be worth picking up. Note: Portions of the movie and features sections were taken from my original DVD review written in 2006. Running Scared was one of those films, upon seeing the trailers, that I had little to no interest in for a variety of reasons, the most primary of them being is starred Paul ‘Bro’ Walker. I tolerated him in The Fast and the Furious, was annoyed watching 2 Fast 2 Furious, and absolutely could not stand him in the god-awful, Into the Blue. So, needless to say, my expectations were nearly non-existent for this flick, but to my surprise, Running Scared offers up a bloody thrill ride in the same vein as Tarantino’s Pulp Fiction. The problem some might have with Running isn’t the violence, although it does get quite heavy with blood spatter, but instead the how and where the film takes place. Although it’s set in New Jersey, writer/director Wayne Kramer (The Cooler) presents an almost fantasy world based upon the Grimm’s Fairy Tales including other mythic characters like the Mad Hatter or the wolf in sheep’s clothing and many other elements. 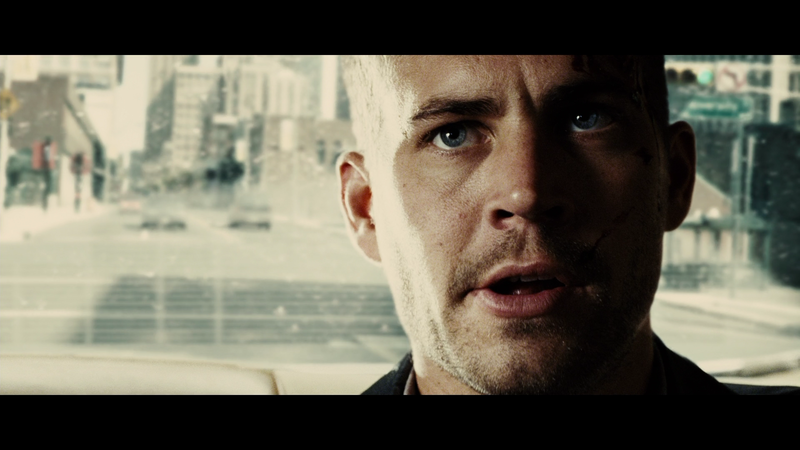 For his part, Paul Walker actually turns in a solid performance as a leading man. Many young actors seem to do OK in the supporting roles but stumble when they are put in the limelight. Although Walker was indeed bad in his previous efforts, something about this director and this supporting cast helped him deliver something more. And kudos goes out to a couple of his cast mates including the Haley Joel Osment, Cameron Bright (X-Men: The Last Stand) and the lovely Vera Farmiga (The Manchurian Candidate) both provide great support to Walker’s gritty character. 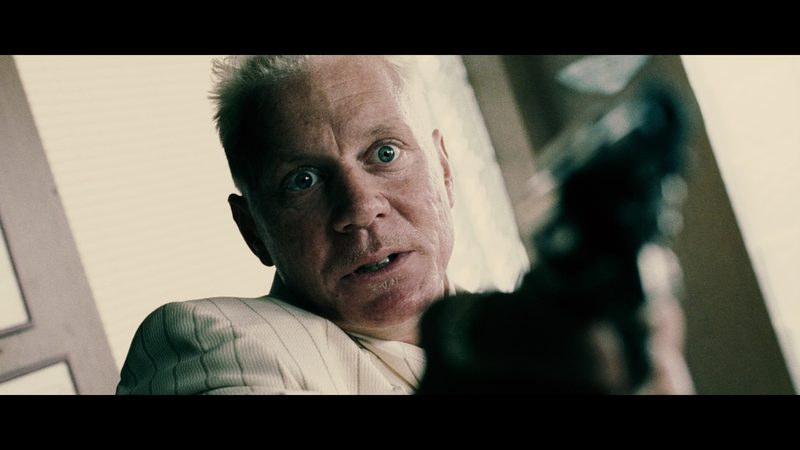 Style-wise, director Kramer borrows heavily from Tarantino’s Sin City segment, including a red convertible fit with a rear camera (edited out as I forgot this was shot before Sin City) and Tony Scott’s Man on Fire (and subsequently Domino) where he utilizes the hand-crank camera in certain shots. He does make some of the shots his own as in one instance, he uses the crank-camera and gives the film a brown and white old tone to it (like the John Wayne movies). I don’t know if he’s the next big thing amongst directors, but he is certainly more talented than 80% of those Hollywood spits out. For my money, however, beyond the interesting story aspects, the 11-minute hockey rink shootout stands to be one of the most memorable scenes in modern cinema. It’s brutal, vile and filled with more f-bombs than many other mob-centric films I’ve seen, but it’s also just unique, a factor rarely seen today’s films where studios and producers play it safe for the sake of the almighty dollar. Running Scared is not for everybody. It’s violent and has a story that some people either won’t follow or don’t care to follow. For myself, I enjoyed it for what it was: a movie in the same category as many of Tarantino’s efforts. Writer/Director Commentary — Wayne Kramer sits down with us for the two hours and gives some insights into how the film was made. Much of the time he explains what scenes were filmed in New Jersey (only 5% by his estimate) and the rest in Eastern Europe (for budgetary reasons). He keeps it lively and uses up every moment he could talking about what influenced him as well as some congratulations to the cast and crew for jobs well done. It’s a little repetitive but an all around good track. Running Scared: Through the Looking Glass (18:48; SD) — This featurette runs around 18-minutes and features quite a bit of footage along with the usual sound bites from the cast, the writer/director and the producer. 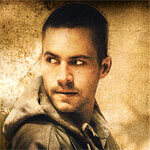 Not a whole lot is revealed outside of an interesting tid-bit in which Paul Walker’s brother was brought in for the “gunshot through the window” sequence. Storyboards to Screen Comparison (5:31; SD) – We are given two storyboards with the bottom half of the screen for the boards, top for the film. They were drawn by Wayne Kramer himself and cover the opening shoot-out and the hockey rink massacre. Debuting on Blu-ray, Running Scared has a very stylized look going for it. Grainy throughout, the movie is presented in its original 2.35 widescreen aspect ratio and at times really pops off the screen be it the florescent blue during the hockey scene or bright colors during the over saturated portions. As I said, the grain is quite heavy but that was the director’s intentions and it translated very well onto Blu-ray. The disc comes with a robust 5.1 DTS-HD Master Audio track which shows off with loud dialogue levels, so without proper soundproofing, your entire house will hear every cuss word in the book, and the action elements come across the front and rear channels quite well also. It’s a rich lossless track that might not be reference quality but still more than serviceable and definitely more dynamic over its DVD counterpart which in itself wasn’t bad. Overall, Running Scared showed me two things: 1) style and substance can co-exist; 2) Wayne Kramer is a hell of a filmmaker even if the script didn’t completely grab me; and 3) Paul Walker shows he does have acting skills. The Blu-ray offered here has some OK features led by Kramer’s lively commentary track while the video and audio transfers are both superb. If you enjoyed the movie – and taking into account the upgraded audio/video plus porting over of the features – this might be worth picking up. 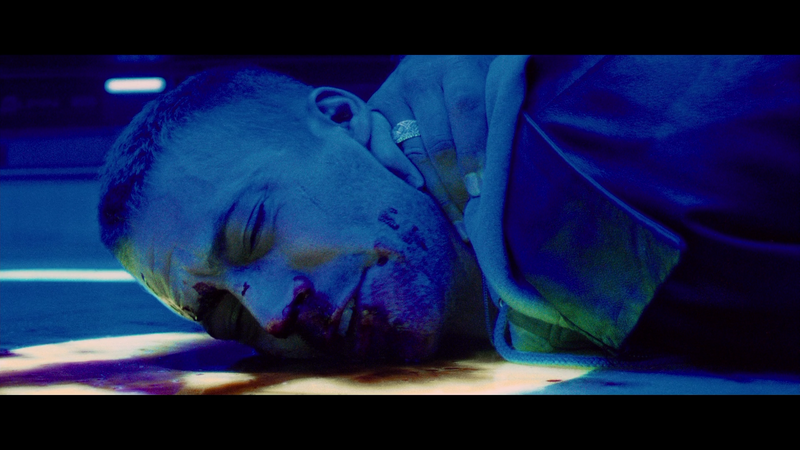 Just so you know, RUNNING SCARED was shot in 2004 and was made before Rodriguez’s SIN CITY. Thanks. Yeah, it was a mistake I made in my original review which I wrote a few years back. I’ll make the proper corrections.